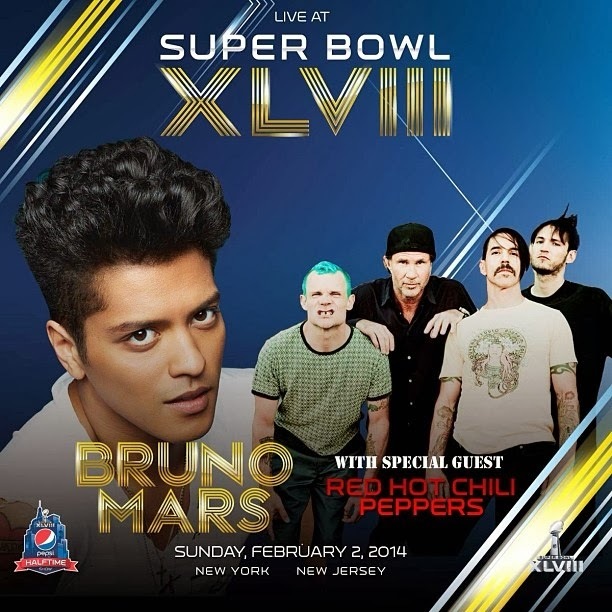 The Red Hot Chili Peppers will not be performing a Led Zeppelin classic when they team up with Bruno Mars during the halftime show at Super Bowl 48 this Sunday in New Jersey. Earlier this week, the band made headlines when video surfaced of drummer Chad Smith responding to a reporter’s question at a recent Grammy week event, with Smith saying the group would play a track made famous by Led Zeppelin (watch the video here). “I’m on the red carpet, and someone asked, 'Super Bowl - what song are you gonna play?' " Smith tells Billboard. "I can't really talk about that. It's supposed to be a surprise. So I'm like, 'Oh, we're doing the live version of 'Dazed and Confused' by Led Zeppelin - and they ran with it! I got, like, 16 different things, 'Oh, the Chili Peppers are doing Led Zeppelin!' Really? Anyone who knows anything about the Super Bowl and/or music should know Led Zeppelin does a very long version, the Super Bowl is 12 minutes long - and we're just the special guest." The Chili Peppers will, in fact, be playing one of their own songs with Mars and his band during their three minutes on stage. "Yeah, this is what we do in our down time, we play the biggest event on television," Smith joked. "The Super Bowl people asked (Mars) if he would like to have a special guest, and he said, 'Yeah, I'd like to have the Red Hot Chili Peppers. I'm a big fan' -- unbeknownst to us. He called us up and said, 'Would you like to come do a thing with us, have a jam?' We're like, 'Yeah, sure. Super Bowl? OK, sounds like fun,' and that's it. They would never ask us - well, maybe in 20 years or something. We've done some wacky gigs, but this one will be right up there. It's a big gig." The custom Pearl drum set to be used by Smith at the event is now available for bidding as part of an NFL auction for charity. Proceeds from the set will benefit Make-A-Wish America; in addition, three pairs of autographed Chad Smith drum sticks are available for bidding, as well. Check out Chad’s gear here.